National Philanthropy Day with the Southwest Florida Chapter of AFP! 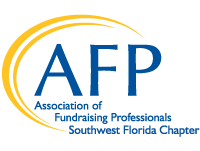 Spotlighting the long history of caring and sharing that is so much a part of our local community, the Southwest Florida Chapter of the Association of Fundraising Professionals annually honors individuals, businesses and foundations for their leadership commitment to philanthropy. Since 1990, the Chapter, joining with AFP chapters throughout the country, celebrates National Philanthropy Day in honor of those devoted to sharing their time, talent and treasure with our community. 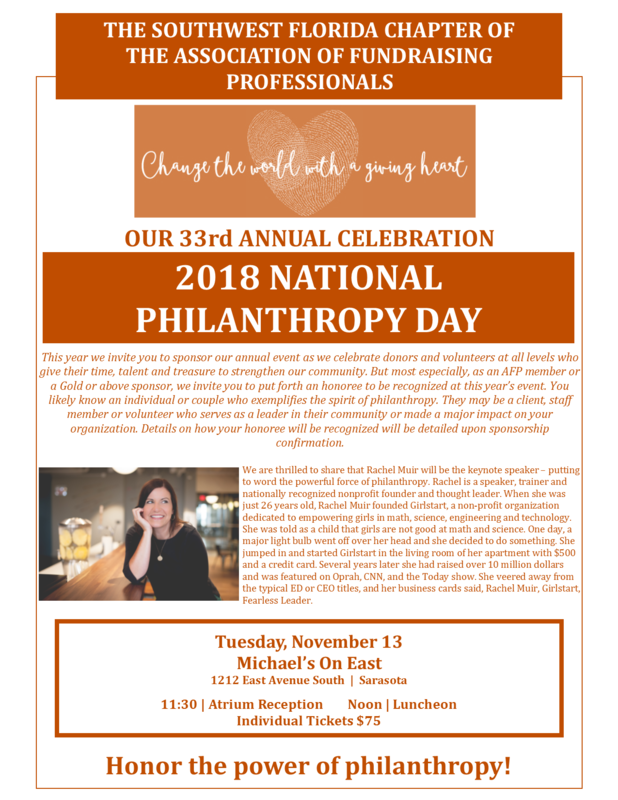 The Southwest Florida Chapter is proud to honor our local individuals and organizations for their philanthropic initiatives by publicly acknowledging their generous contributions during the National Philanthropy Day Luncheon. The theme is Change the World with a Giving Heart. The spirit of giving is alive and well in Southwest Florida Please join us again this year as we recognize and say thank you to those who have cared enough to make a difference!